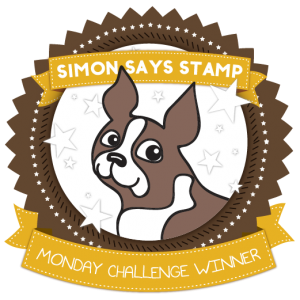 I created this card for the Simon Say Stamp Monday Challenge - It's A Stitch Up. The black cards seemed a good idea as I often seemed to be painting a black background on cards. 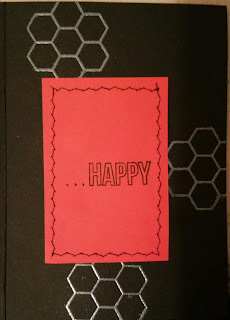 The I realised that not everyone may have a pen to write on the black inside (I sometimes give blank cards to others as gifts for them to use) so I decided to insert some red paper that I had used as a background layer on the from. 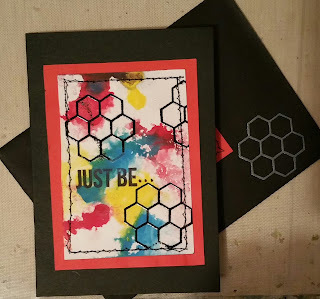 The front design was created using Liquitex Inks, an embossed stamp and machine stitching. 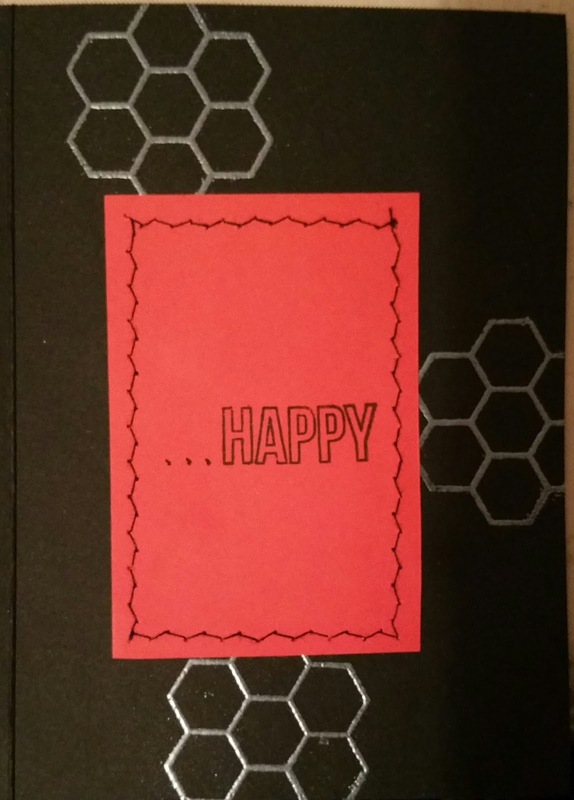 I carried this design inside and onto the envelope.